Baltimore is a city known for its sculptures. John Quincy Adams famously toasted "Baltimore—the monumental city" during a visit in 1823. The moniker is well deserved. Baltimore possess the first monument to George Washington in the United States. And during a time when Washington DC was recovering from the devastation of the War of 1812, Baltimore was erecting monuments to its triumph. Baltimore was also home to great sculptors. William Rinehart got his start in Baltimore owing to the patronage of William Walters. After an illustrious career, Rinehart endowed his estate to the Maryland Institute College of Art for the teaching of sculpture. Hans Schuler attended the Rinehart School of Sculpture, having emigrated to the United States at a young age from Germany with his parents. Upon graduation, he moved to Paris to study at the Julian Academy on a scholarship. In 1901, he became the first U.S.-based sculptor to win the Salon Gold Medal for his sculpture "Ariadne." It was in Paris that Schuler met William Lucas, an agent of Henry Walters, son of William Walters. Walters, a collector of fine art, purchased "Ariadne" for his gallery, now the Walters Art Museum. In 1906, Schuler returned to Baltimore and established a studio at 7 E. Lafayette Avenue, where he would become the city's leading sculptor and contribute to Baltimore's legacy as the Monumental City. 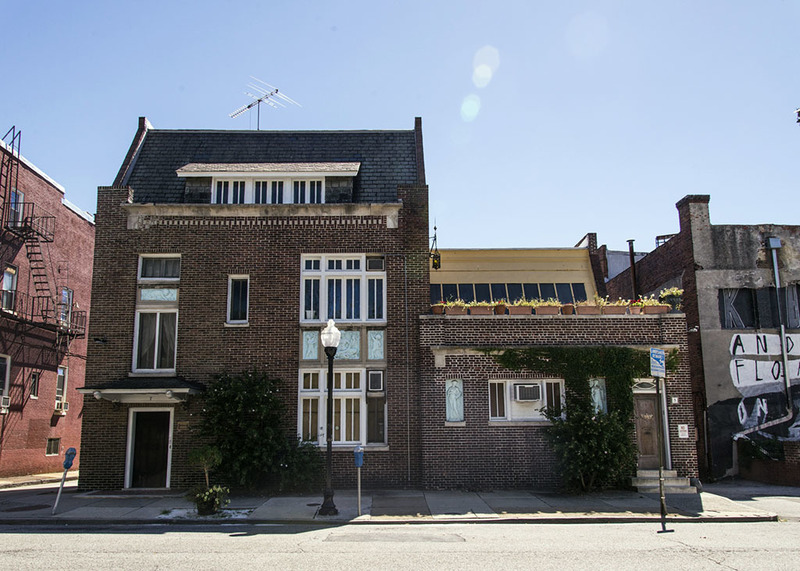 Schuler's studio was designed by architect Howard Sill in an eclectic style, combining elements of several architectural styles and including architectural elements sculpted by Schuler himself. Sill designed the interior to accommodate the large scale of Schuler's work. The studio had one floor with a 24-foot ceiling. Large double doors allowed for the moving of large monuments. In 1922, a crane was installed inside. For six years, Schuler lived in an apartment near the studio with his wife, Paula, and daughter, Charlotte. By 1912, Schuler was established enough to hire Sill's apprentice, Gordon Beecher, to design a two bay wide, three bay deep, and two stories tall residence attached to the studio and capped with a mansard roof. As with the studio, Schuler sculpted architectural elements for the residence. Schuler received many commissions during his lifetime. One important patron was Theodore Marburg, a diplomat who, when he was not advocating for the League of Nations, was advocating for city parks and public art in Baltimore. Marburg founded the Municipal Art Society and would go on to save Schuler's career after nearly ruining him. His commision for a figure of Johns Hopkins hit a dead end after the university refused to take it. Schuler's compensation covered materials and little more, and the loss of income almost led to him selling his house. Schuler recovered and commissions came regularly until the United States entered World War I. Schuler considered working in a munitions factory, but Marburg intervened and provided more commissions, saving Schuler's career. Schuler became director of the Maryland Institute of Art in 1925. During his tenure he continued to work on commissions in his personal studio. He died in 1951 at the age of 77. His son, Hans, Jr., had been his full-time assistant, and like his father, worked at the Maryland Institute of Art. In the years that followed, the Institute began to lean more towards modern art in its teaching. A firm believer in the traditional techniques passed down from his father, Hans, along with his wife Ann, also a teacher at the Institute, formed the Schuler School of Fine Arts in 1959. The school trains students in the techniques of the Old Masters and offers courses in drawing, painting and sculpture and is located in the Schuler studio and residence that Hans Schuler, Sr. built. Both buildings remain historically intact with few changes. Nathan Dennies, “Schuler School of Fine Arts,” Explore Baltimore Heritage, accessed April 19, 2019, https://explore.baltimoreheritage.org/items/show/91.